School leaders might see little cause for optimism in these hectic times. But when the going gets tough, Nickii Messer would rather be the swan than the headless chicken! Even in the current climate I remain an optimist. I love optimistic songs, and I see how optimism inspires other people to greater things. In my work with school leaders, I have become increasingly aware of the power of optimism. It has led me to believe that optimism truly is one of the most powerful attributes of a successful leader. Being an optimist doesn’t mean that you can’t experience self-doubt. In fact, doubt and optimism go hand in hand. Optimism on its own can lead you to speed ahead brashly. Self-doubt can make you change down a gear, check your co-ordinates and look for obstacles before taking that determined push to your destination. For ideal performance, you need both in equal measure. if things don’t turn out as expected, the way they have turned out will be even better. Of course, it is difficult to be optimistic and positive all the time. When work is piling up, demands become greater, and you feel exhausted by the pressure and weight on your shoulders. But it is worth the effort. Below are some ways you can adopt a more optimistic frame of mind. Avoid setting impossible targets. If you aim to be positive for an entire day, you are setting yourself up for failure. Instead, determine to be positive for the first half an hour of each day, the first 10 minutes of a meeting or every time you walk down the school corridor. This ‘quick-fix optimism’ will set the tone for how others relate to you. Smile, and the whole team will smile with you! And when they are smiling, you’ll find yourself smiling too. Even if things appear to be reeling desperately out of control, keep the tranquil exterior of a swan. It’s hard to trust someone who flaps around, but calmness in the face of adversity will inspire trust. If you stay calm, your team will too, and you’ll soon find ways to resolve things. Be careful not to mix these up: WWW can often stand for ‘what went wrong’ (and world wide web, world women’s wrestling…) but you should never start with that! Keep things in perspective. Ultimately, this isn’t about you or your colleagues. It’s about the children. If they are safe and well cared for, everything else will be manageable. 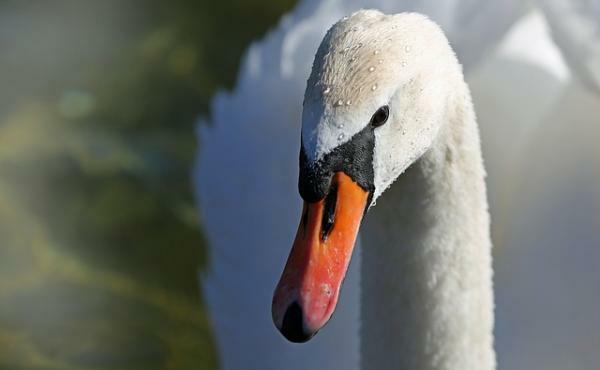 If something terrible happens, seek help from someone who you know will be the graceful swan. Between you, you’ll soon figure things out. Remember why you do your job. School leaders are in a unique position to protect, nurture and inspire the next generation of achievers. Despite its challenges, it can truly be one of the best jobs in the world. Take a moment to remind your team that they should be immensely proud of what they do. After all, ‘perpetual optimism is a force multiplier’! If school leaders are to inspire and motivate their colleagues, we need to understand our own emotional responses and be aware of different 'personality types'. 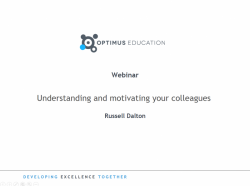 In his webinar, Russell Dalton explains why emotional intelligence matters and how you can use it.